High Noon has captured ‘Traditional’ line honours in the combined St David’s & Gibbs Hill Lighthouse Divisions in the 2016 Newport Bermuda Race. This is an amazing accomplishment for the Young American Junior Big Boat Sailing Team from American Yacht Club [Rye, NY]. They sailed High Noon, a Tripp 41 on loan from US Merchant Marine Academy Sailing Foundation, across the finish line at 9:07:05 EDT. High Noon, a Tripp 41 skippered by Peter Becker and crewed by 7 young sailors aged between 15 and 18 were traditional elapsed time winners. Helm: Carina Becker. 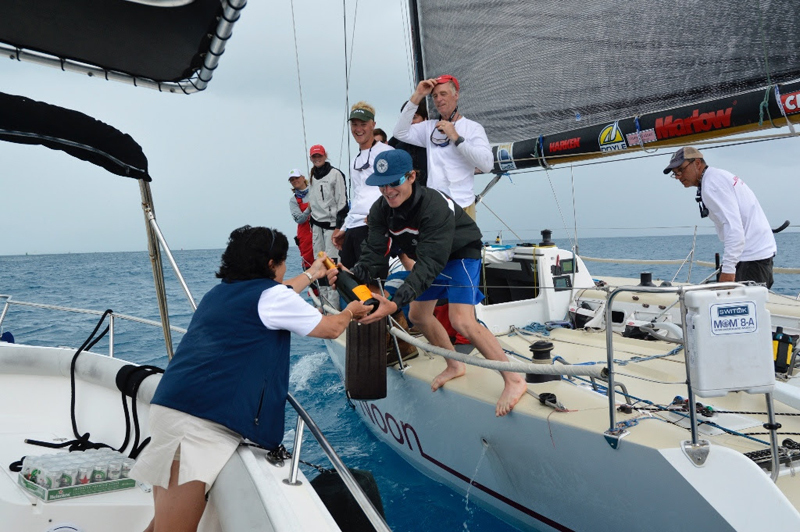 RBYC Commodore Leatrice Oatley hands over the victory champagne after this winning crew crossed the finish line. High Noon was the second boat in the fleet to finish overall. Comanche, Jim and Kristy Hinze Clark’s 100-footer, smashed the Open record when she finished at 4:22:53 EDT on Sunday breaking the elapsed time record with a professional crew. High Noon sailed in the St. David’s Lighthouse Division, Class 10 with a mostly amateur crew of seven young sailors ranging in age from 15 to 18 along with three adults. She is the second smallest boat to take line honors… smallest was Thomas Fleming Days 38 footer Tamerlane. High Noon is in line to win the St. David’s Lighthouse for the best corrected time in her division and four other major prizes, at least, including the first Stephens Brothers Youth Division Prize. 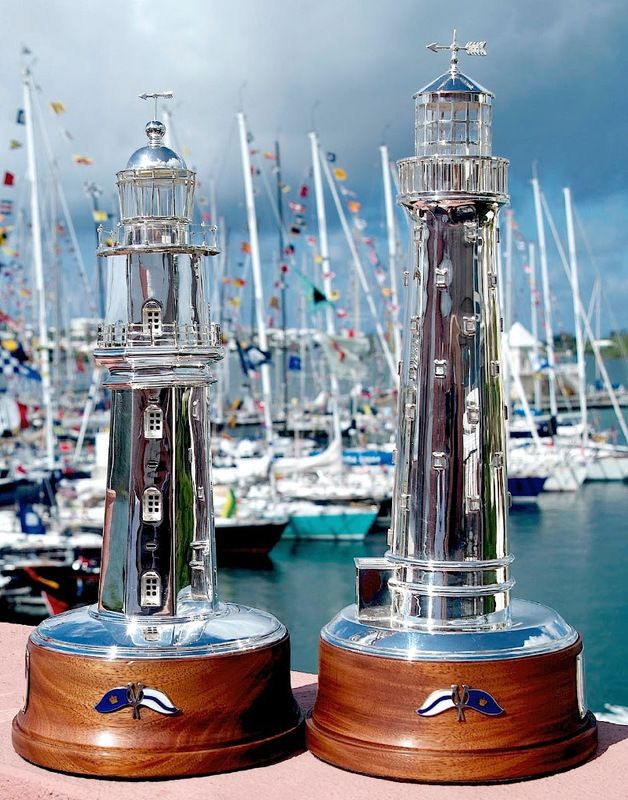 Who Won The Newport Bermuda Race? Congrats to this young crew!